Dragon SimDist© is also fully compliant with ASTM E-1947 specifications for AIA Data files and is capable of universally accepting files in CDF format without the requirement of installing vendor specific software drivers. This allows Dragon SimDist© to be utilized in mixed acquisition environments and with legacy data saved to CDF format. Dragon SimDist© is characterized by its ease of use and flexibility for the end-user. The software can be set to run from either pre-set ASTM default settings or from custom settings determined by the end-user. The following image displays all reference methods included with Dragon SimDist©, and illustrates the type of products each method can test. 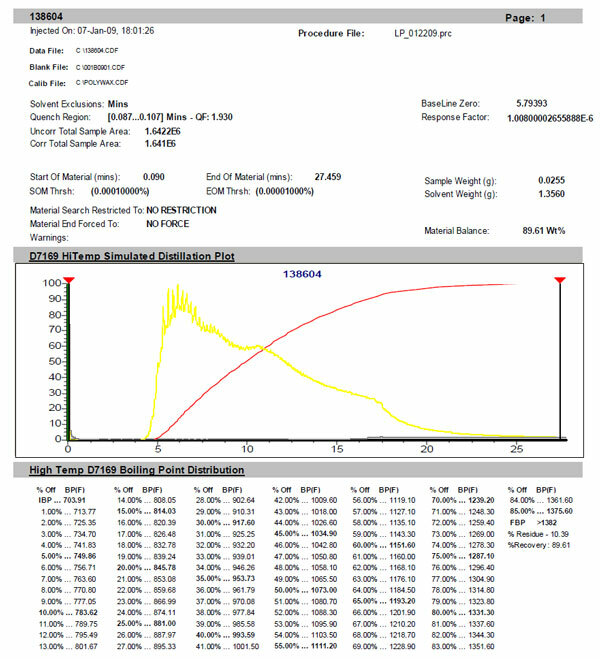 Methods to analyze heavy hydrocarbon mixtures such as ASTM D7213, ASTM D6352, and ASTM D7500. 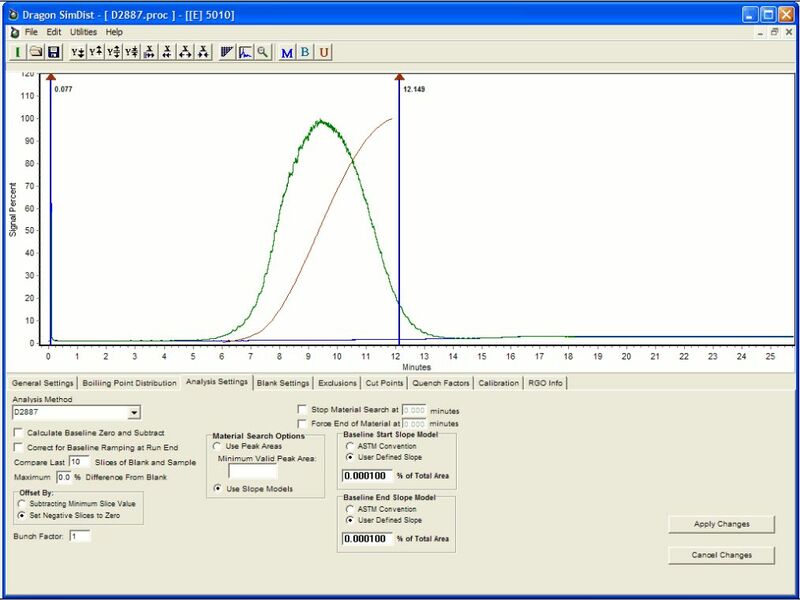 Custom analysis output for LIMS interfaces or other integration requirements are available. User Defined Programs can also be included to extend functionality. Try it before you buy it! We provide a fully functional trial version for anyone who would like to make sure the software does everything required. Download, install, and locate the manual in the Help directory. The software will be fully functional for 30 days. Download the .exe file and click on it to install the updates.